The memory package includes all of the photos taken by our team of volunteer coordinators at camp, including group photos of each child’s age group, plus the Closing Ceremony slideshow. Memory Packages are $35 each. Select your camp and you will be taken to PayPal where you can indicate the number of packages and provide your shipping information. A PayPal account is NOT required, you can checkout as a guest and major credit cards are accepted. You will receive a link to our Shutterfly site, and a password to be able to access all of these camp memories. 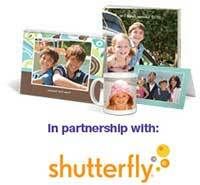 You will be able to download and print photos yourself, or have them printed through Shutterfly or at Target.